If your income increased in 2017, you may be eligible for the tax shield tax credit. Newly created in 2016, this credit helps offset an increase in employment income, which can cause a reduction in tax credits related to the work premium (including the adapted work premium) an/or childcare expenses. *You can find line 275 of your Québec return at the bottom of page 2 of your TP-1 form. 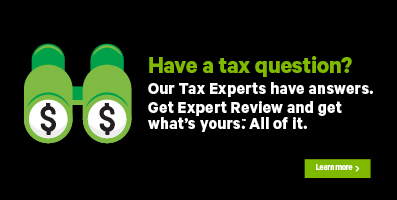 Note: When claiming this credit using H&R Block’s tax software, you’ll be given the option to let Revenu Québec claim this credit for you. If you select Yes, you won’t need to enter amounts from your 2016 Québec return; Revenu Québec already has this information on file. If you select No, you’ll need to enter the amount reported on line 275 of your 2016 return. It’s important to remember that whatever option you choose, the credit amount you receive will be the same. Before you begin, make sure that you told us you lived in Québec on December 31, 2017. Under the Specific credits for your province heading, select the checkbox labelled Tax shield credit (TP-1029.BF-V) then click Continue. When you arrive at the page for the Tax shield credit, enter your information into the tax software.